Urfa Community Center: During the Ramadan, IMPR conducted after Iftar activities. Everyday, nearly 50 Syrians attended after Iftar activities. In the report, there are some figures and statistics related IMPR’s SNF programme, recreatinal activities etc. Women Community Center: At the IMPR’s Women Community Center, Syrian women get beneffit from recreatinal activities and reproductive health services daily. 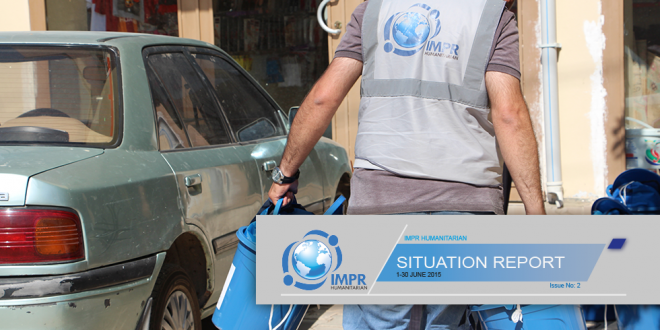 IMPR also makes case management to provide Syrian’s needs. In the report, figures about raising awareness and recreational sessions are available. Protection Project: During the June, after refugee influx to Akçakale from Tel-abyad, IMPR protection team made need assesment and determined the needs of new arrivals. Since the begining of the crisis in Akçakale, IMPR Humanitarian protection team has been working to determine needs of displaced people and provide assistance in terms of services and ensure their access to the basic right. 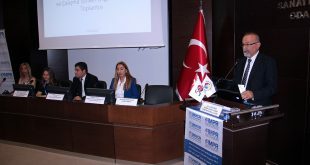 In the report, results of Akçakale need assesment and protection team’s work framework is available. Assistance of Non-Food Items: Due to refugee influx to Akçakale, the ugrent and basic needs of women and girls became much important. Therefore IMPR has distributed 3.326 dignity kits in Akçakale. Besides, IMPR distributed 1,000 dignity kits in Batman, 2031 dignity kits in Urfa, and 1500 dignity kits in Mardin.